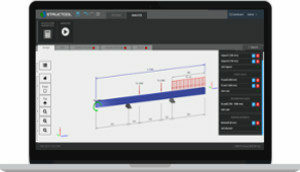 Structool performs engineering analysis of beams. Complete structural analysis data based in Finite Element Analysis: stress, deformation, internal forces, reactions. Structool is about optimization of beam as elements of structures. Civil Engineers specialists can rely on results of analysis and choose the best size of the profile meeting design criteria. User friendly application allows for unlimited modelling 2D & 3D structures. Finite Element Analysis (FEA) method used by high performing solver can verify and optimize any kind of Installation structure. Results of analysis collected into professional reports. Easy to print, save, archive and approve documents are prepared in very structured and easy to follow way. Analysis and reports meet Eurocode norms. Application uses very intuitive user interface and is available in several languages. 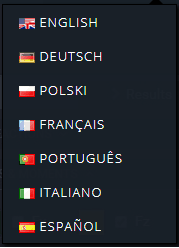 Languages used in engineering reports are independent from the main language. Each project and design can be shared between users. 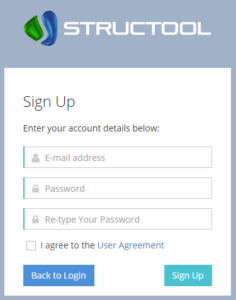 Application allows many users to work together on the same project. At Structool you can expect your colleagues to contribute to your individual design. Quick & easy registration process. 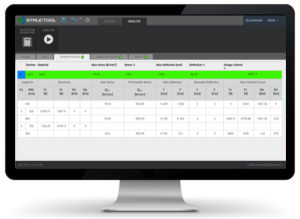 Dashboard allowing for project management & providing access to the product and system data. Structool available from any place at any time. Application uses modern technologies allowing for unlimited access from various types of devices, systems & internet browsers. 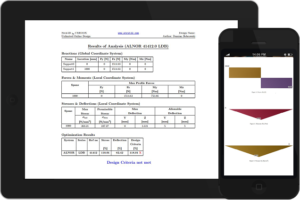 Structool is an online Application performing statics verification of beams and frames. Structool uses FEA method allowing for unlimited modelling with presentation of professional results and report. Wind load calculations according to Eurocodes.